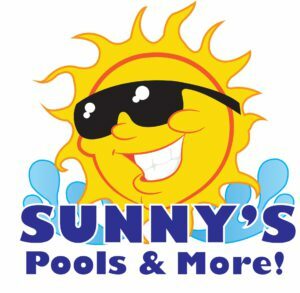 We Are Now Sunny’s Pools & More! Yes, we’ve changed our name. Viscount Pools West is now Sunny’s Pools & More. For over 50 years now it is a business you can trust, products you love and people you can depend on. That hasn’t changed. We still carry and maintain many of the products we have from the inception. The new century brought a lot of new changes and the first decade as everyone knows, brought many economic challenges as well. It also brought unparalleled technological changes to how business and especially how retail is managed. Kevin Zacharski, having been with the original Viscount Pools for 44 years, realized significant changes would be needed for new products, customer convenience, and new media marketing. Sunny’s Pools & More was born. Why change now you ask? We began our rebranding efforts to Sunny’s Pools & More in 2015, focusing on customer-oriented services for our customers in and around the five Michigan locations we serve. Part of the rebranding process is the launch of a new company website. In addition to our website we are making improvements for mobile viewing, in our stores, and on social media. All this, to keep up the pace with our customers in this Twenty-First Century. At Sunny’s Pools & More, you will find spacious floor space displaying portable spas in various models and sizes. Our staff provides complete guidance for customers interested in purchasing one of the many spas currently available. For example, Viking models include additional features such as LED lighting, stereo systems, and many others. Many of our products (including Viking) are “Made in Michigan.” We believe in supporting the communities and areas we do business in. We would appreciate your feedback and thank you for making us a local business favorite for 50 years and counting! Viscount Pools West, a Michigan-based company and former part of the Viscount Pools store chain, announced its rebranding as Sunny’s Pools & More. Offering swimming pools, spas, hot tubs, billiards tables and more to clients in Livonia, Flat Rock, Monroe, Macomb and Waterford, the company’s rebranding efforts aim to reflect its commitment to providing high-quality, family-friendly indoor and outdoor products. The new Sunny’s Pools & More website offers a wide range of information for clients interested in buying one of the company’s products. The company provides different types of swimming pools, including above ground and semi-inground models, as well as automated cleaners, filter systems, heating solutions, ladders, liners, lighting, solar reels, winter covers and many other products. A comprehensive description of each can be found more easily on our company’s new website. “We have years of professional experience, always making customer service our number one priority, and our rebranding as Sunny’s Pools & More is meant to reflect just that. We strive to make our customers feel like they are family, and we’ll take care of all their needs,” said Kevin Zacharski, owner of Sunny’s Pools & More.